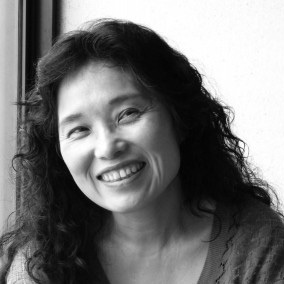 Ito Hiromi, born in 1955 in Tokyo, is one of the most important and dynamic poets of contemporary Japan. After her sensational debut in the late 1970s, she emerged as the foremost voice of the wave of “women’s poetry” that swept Japan in the 1980s. To date, she has published more than a dozen critically acclaimed collections of poetry, several novels, and numerous books of essays. She has won many important Japanese literary prizes, including the Takami Jun Prize, the Hagiwara Sakutaro Prize, and the Izumi Shikibu Prize. She now lives outside of San Diego with her partner Harold Cohen and her daughters. This is her first book-length collection of poetry in English. Jeffrey Angles is an associate professor of Japanese literature and translation studies at Western Michigan University. He is the author of Writing the Love of Boys (University of Minnesota Press, 2010), translator of Forest of Eyes: Poetry of Tada Chimako (University of California Press, 2010), and co-editor of Japan: A Traveler’s Literary Companion (Where- abouts Press, 2006). He has won grants from the PEN Club of America and the National Endowment for the Arts for his translations. He lives in a house with an overgrown garden in Kalamazoo.